These cards are CR80 size with a 30 mil thickness and include a low coercivity magnetic stripe. These are the same size as credit cards and most standard ID cards. These cards come in a box with 5 packages of 100 cards. They are made from PVC material and feature a glossy front and glossy back. They have a very smooth surface and are optically inspected to ensure a clean scratch free card. With such a premium card surface you will get stunning cards and an extended printhead life. 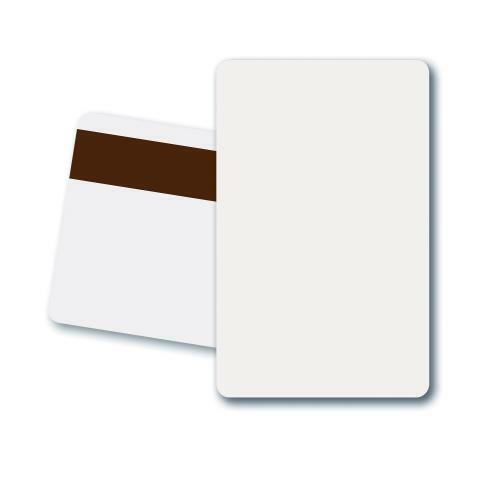 These cards are ideal for ID cards, gift cards, membership cards, loyalty cards, visitor cards, and more. The low coercivity stripe ensures easy and fast encoding. These cards require special handling to preserve their surface areas before printing. These cards arrive to you scratch free and virtually debris free. When handling you want to make sure the oil from your hands or other materials do not come in contact with the cards. Special storage is required.